Skin discoloration side effect, when there are hyperpigmentation, it means darkening of the skin where the laser treatment took place. This is a laser hair removal side effect which can be reversible with the right treatment. The worst side effect can be the laser hair removal hypopigmentation (white spots) which is in most cases permanent. How does laser hair removal hyperpigmentation happen ? The laser hair removal treatments is based on turning light into heat. The heat is produced when the light reaches dark matter, preferably the hair. The melanin in the body is in charge of the color production, like the color of the eyes and the color of the hair and skin. When the Melanin in the skin is bombarded with light energy, this can affect the Melanin production. The dark spots are mainly caused by the interference with the melanin production in the epidermis, after the laser hair removal procedure is over. There is an extra production of Melanin (which is in charge of the color production in the cells) this will show as dark spots or areas on the skin. How does hyper pigmentation treated ? There are several ways to treat hyper pigmentation. The best way is to try to avoid Laser skin discoloration by choosing the right clinic, picking the right doctor, and matching your skin tone to the laser system the clinic has. If you choose a home laser system, pick those that have several levels of light power and safety procedures against beaming dark skin (like the TRIA laser hair removal) or safer IPL home hair removal system like the NEW Me my Elos technology IPL + RF system, which is currently the most safe home system to use. Staying away from the sun harmful rays is the best laser hair removal safety tip you might get, the sun can be sending very intense UV rays to the skin, while the epidermis has been soaked with laser light and melanin production aroused. Dark spots might show if your skin is exposed to the sun. Use high SPF sun guard creams (+30) at least. Walk in the shade use SPF guards and try not to expose the skin the the peak UV time between 11:00-14:00. These can be used too, those can whiten the top layer of the skin hyper pigmentation. The bleaching cream rubs off the top layer of the skin, making it a little whiter, the new skin cells of the epidermis will grow in a few weeks, and if melanin production not destroyed, those cells will grow with your regular shade. There are several skin bleaching brands and each has different ingredients so if one does not work for you, you can try another. Microdermabrasion home devices are small kits that do the same as the expensive machines you might seen at the skin clinics. 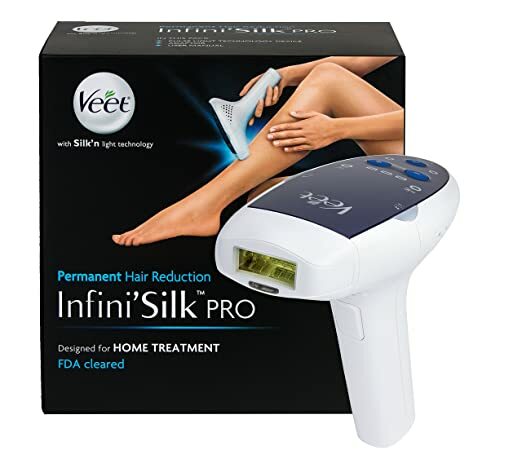 They have a small but powerful compressor and pump that will combine delicate abrasion together with suction in order to remove your external epidermis layer. It is the top layer whichis usualy has the dark spots you want to remove. The spinning abrasion will scratch away a few microns of the epidermis which is the top layer of the skin. Many people with hyper pigmentation choose this solution for treatment because it can done quickly (an hour) and everywhere, even at your home with home hyperpigmentation treatments. There are several brands to choose from, most of the home kits are similar, those systems that have diamond systems may cost a little more as they are Crystal-Free therefore is safer and more hygienic than other models. This entry was posted in Skin Discoloration and tagged dark discoloration, dark patches, dark pigmentation, dark spots, hyper-pigmentation, hyperpigmentation, laser hair removal hyperpigmentation by admin. Bookmark the permalink.